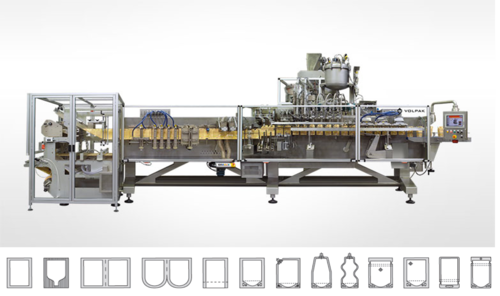 SI280 is a versatile and reliable machine for stand up pouches of up to 600 ml capacity offering flexibility in the change of format, with the added capability to produce big pouches for up to 2.5 liters. Compactness and reliability are also two of the characteristics that best define the SI-280 model. The new SI-280 turns changing format into a controlled process by guiding the operator and leaving no room for improvisation. We count companies like Unilever, P&G, J&J, Nestle, Colgate, Kraft, Danone, Coca-Cola, Dole Foods, Del Monte and many others in our customer list. We owe our success to our esteemed customers and our reliable partners, both inspiring us to deliver “Customer Delight” and not mere satisfaction. It’s an endeavour we take very seriously. Single Source ResponsibilityA partnership with us saves your time and money and allows you to concentrate on things that are more important to you. We take single source responsibility to resolve your packaging needs.